Maroc is a feminized Marijuana strain and an original landrace from Morocco. Perfect for resin extraction and hashish or for BHO. 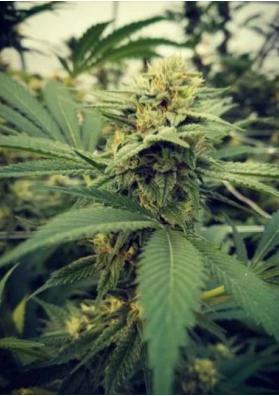 Maroc is a feminized Marijuana strain and a pure breed stabilized and coming from Morocco. 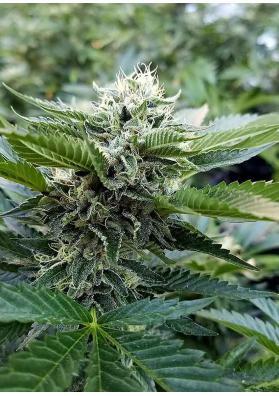 The team of Female Seeds has done a great job to domesticate this genetics aiming to provide this strain to the community of Marijuana growers. This strain originally came from the famous city of Ketama, it was transported to Holland suffering a stabilization and improvement process for years. This work has resulted in Maroc, a true champion in resin production thus being ideal for home made hashih productions or for BHO extractions. The resulting plant has a structure somewhat ungainly with large ramifications and an early flowering. In this way, we recommend to grow it near the summer as if planted in early spring it may flower on May. 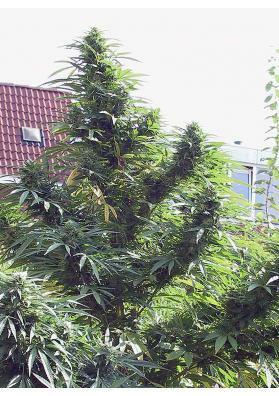 This is an ideal plant to be harvested during the year in mild climates. Maroc has a chocolate-like flavor, strong and persistent. To get the most penetrating taste, this strain should be grown in warm or hot climates. This strain finishes its flowering cycle in juts 7 weeks in a growing room reaching heights ranging from 150 cm. In the garden you can harvest it from mid to late September. The production of Maroc is moderate, giving its best results on outdoors when cultivated in warm climates.